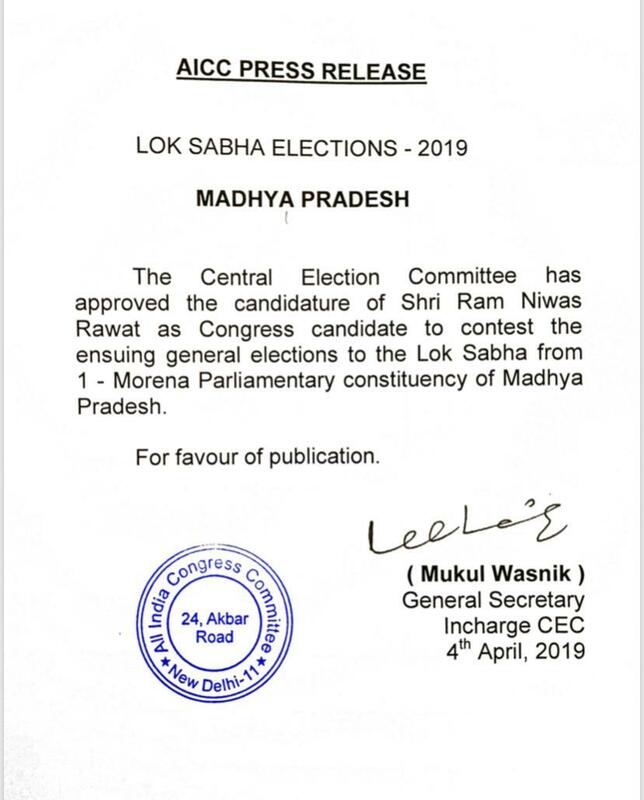 “The central election committee of the Congress has approved the candidature of Ram Niwas Rawat as the Congress candidate to contest the ensuing general elections to the Lok Sabha from Morena parliamentary constituency of Madhya Pradesh,'' read a statement by Congress General secretary Mukul Wasnik. Earlier on March 23, BJP had announced that Union Minister Narendra Singh Tomar will be contesting from Madhya Pradesh's Morena. In Madhya Pradesh, the polls will be conducted in four phases on April 29, May 6, May 12 and May 19. Morena parliamentary constituency will go to polls in third phase on May 12.